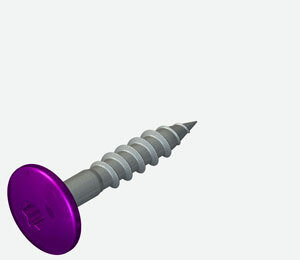 A2/304 stainless steel lacquered low profile facade screw for fixing to timber. No sealing washer - for when a weatherseal is not required, often in secret fix or internal applications. A2/304 stainless steel lacquered low profile facade screw for fixing to timber. Supplied pre-assembled with a 10mm stainless steel / EPDM rubber bonded sealing washer. A2/304 stainless steel lacquered low profile facade screw for fixing to timber. Supplied pre-assembled with an Aluminium / EPDM rubber 15mm diameter sealing washer, normally used in wall applications.